Already convinced? Request a quote! 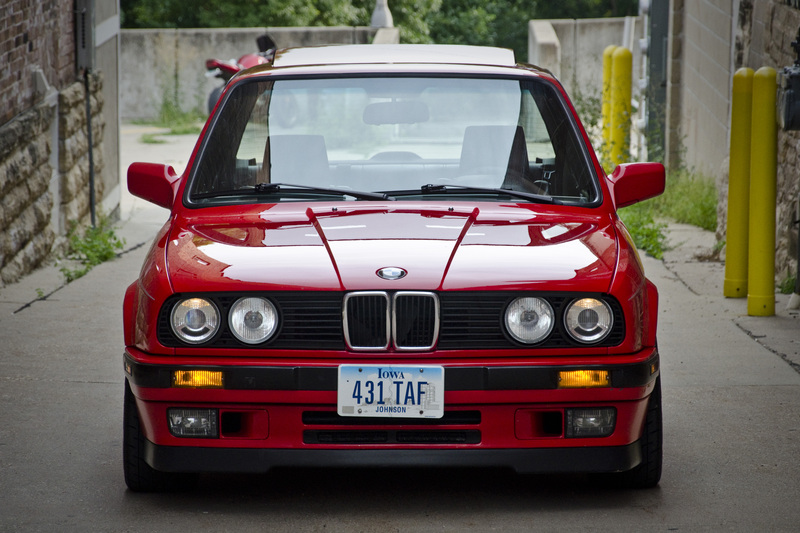 A well protected car will look better and retain its value longer. 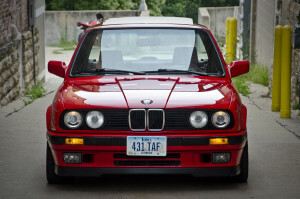 There are many well meaning, yet misguided opinions on how to maintain the exterior of your car.. The best car wax is the one that you apply only once, it lasts for years, and protects your car from all the the environment will throw at it. This wax does not exist. A typical car wax has durability measured in weeks, especially when subjected to soaps and high heat under the sun. Although the constant need to reapply is great for business, this is time consuming and counterproductive. By filling in minor swirls and scratches, wax creates the illusion of a shiny car, once the wax washes out, you are back to where you started. The application of car wax involves a lot of friction as the product is buffed on and buffed off, this increases the risk of creating swirls and scuffs. The need to repeat this application only multiplies this risk. Opti Coat Pro is a ceramic coating (Si-C) that is designed to chemically bond to your car’s clear coat. Unlike clear coat, Opti Coat Pro creates a non-porous surface that releases contaminants, beads off water, and is extremely chemically resilient. Once installed and properly cured, Opti Coat does not wash off, even with harsh high pH soaps, like those used in touch free car washes. Gasoline drips near your gas tank will instantly strip off any wax applied, Opti Coat does not care about gasoline and will continue to protect your paint. Uric acid etching due to bird dropping will also be a thing of the past, as the ceramic coating resists acid damage. In addition to superior chemical protection, Opti Coat keeps your car looking new, longer. Most of the fine swirls, scuffs, and scratches are a product of (improper) washing and drying your car. 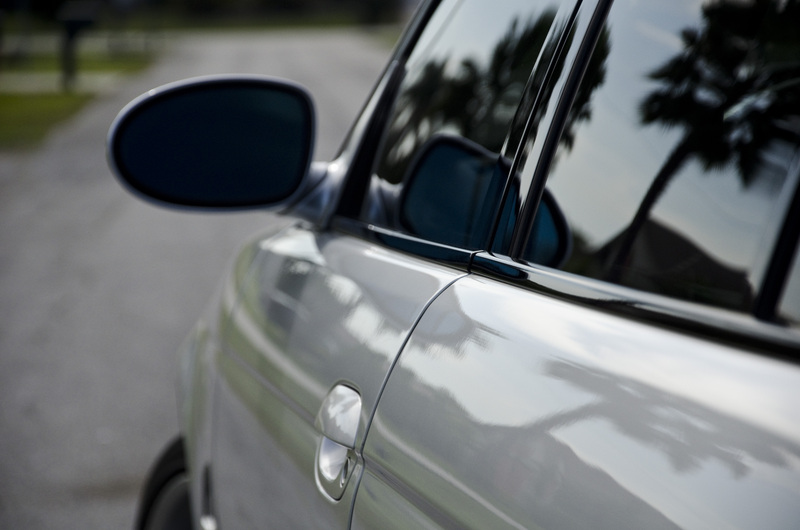 Superficial scratches refract light and alter your vehicle’s reflectivity. Simply put, they rob shine! A car that is coated will stay clean for longer, and is easier to wash when the time comes. By drastically reducing the effort required to keep your car clean, you will extend the swirl free surface! In addition to helping with washing, Opti Coat’s formulation cures much harder that typical paint clear coat, further improving scratch resistance. Your car stays cleaner, longer – less washing, less swirling, more free time. Bugs and tar release with less effort – again minimizing chances for swirling. Hydrophobic coating makes drying easier – again.. preventing swirls and maintaining shine for longer. Like anything in life: end result is a product of preparation. Opti Coat being a permanent product, we want to make sure the car’s clear coat is perfectly clean and free of distracting swirls and scratches. Unlike wax, Opti Coat does not fill in scratches so we permanently eliminate scratches and swirls through paint correction. Most of the swirls and scuffs that are altering your clear coats reflectivity are in fact not very deep. By removing 2-5 microns (1 micron = .001 mm) of clear coat through polishing and compounding, we expose a fresh surface of clear coat, ready to accept the coating. 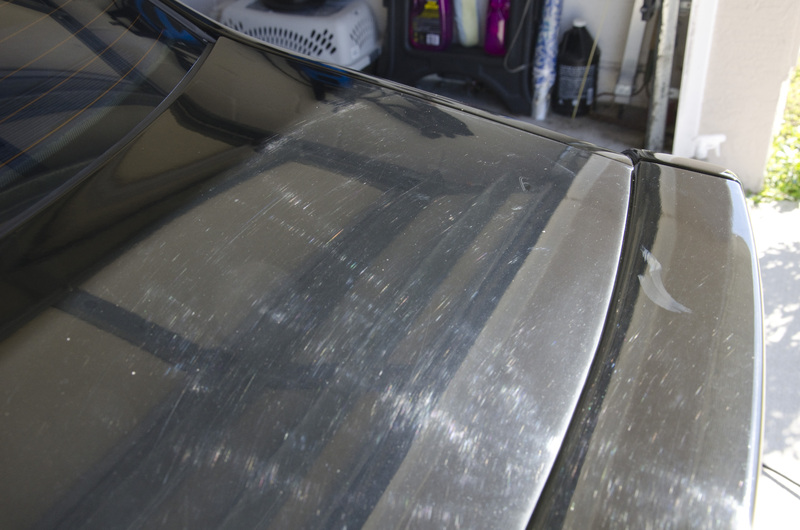 You may not always notice these swirls on your car, it may be a matter of lighting, or they may be filled in with wax. Once we get rid of them, you will definitely notice! Here is the rear end of a 2014 M5 with only 7000 miles. a 2 step paint correction restored shine and clarity to the paint. Following satisfactory paint correction, we treat the car with a primer polish, which acts as a catalyst to help the Opti Coat Pro bond to the clear coat. It takes anywhere from 5-10cc’s of Opti Coat Pro to coat an entire vehicle. We like to keep the car dry for a minimum of 1 hour, after which the vehicle can be placed back in service. When applied to newer vehicles, Opti Coat Pro comes with a warranty from Optimum Polymer Technologies, that not only covers the integrity and effectiveness of the coating, but actually covers the paint underneath. If your paint suffers chemical (bird poo etching) or UV damage (fading/cracking), Optimum’s warranty will pay for the affected area to be resprayed! Only an authorized installer will have access to Opti Coat Pro, and the warranty card is a sure sign that you are dealing with a professional! On vehicles 5 model years old or newer, this warranty lasts for 5 years, on vehicles 5-10 model years old it is a 2 year warranty. Although older vehicles are not covered by this warranty, we still use the exact same coating and there shouldn’t be any performance discrepancies. 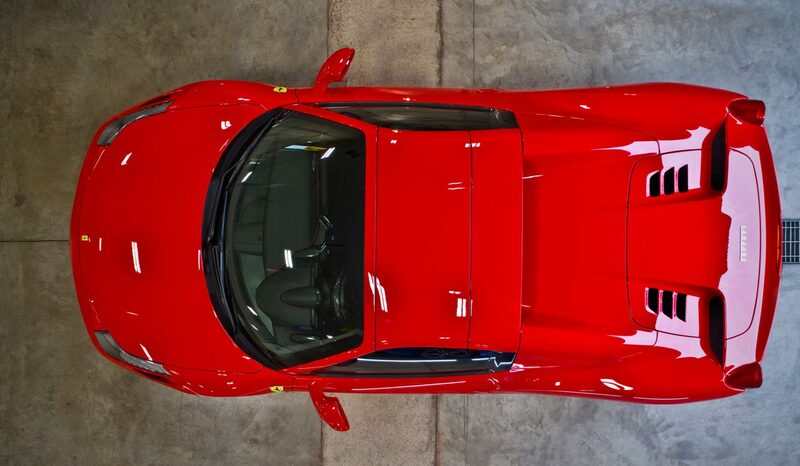 eM Detailing will take responsibility for the durability of the coating on all vehicles, regardless of age. We realize this is a major paradigm shift in car care, but many satisfied customers can’t be wrong. Unlike dealer installed “sealants” which are nothing more than overpriced temporary sealants, Opti-Coat is the leading permanent coating on the market. eM Detailing is Iowa’s only authorized Opti Coat Pro installer, we travel nationwide with our mobile detailing setup. Customers in the Iowa City, Cedar Rapids corridor may also come to our location in Iowa City or Mount Vernon. Please Contact eM Detailing with any questions or concerns, and to request a quote!